Learn about how grouping accounts can be useful in PocketSmith, and the steps to take to group or ungroup accounts. 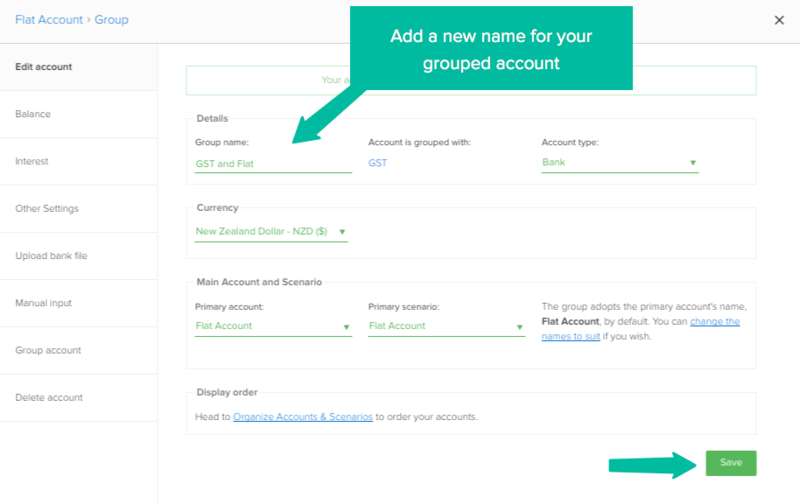 Group multiple accounts together so budgets can be applied to more than one account. Group similar accounts together to make them easier to manage. Group accounts if you are at or near your account limit - a grouped account only counts towards one account. Group old accounts together to archive their transactions. 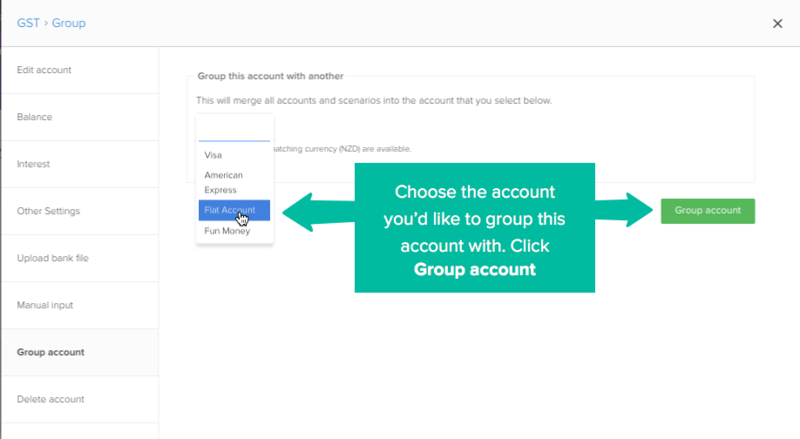 When you create a grouped account, the name of the account group will be that of the primary account you are grouping the account with, by default. It's a good idea to come up with a new name for the Group. However, when you rename the group, this will also change the name of the primary account to match. To change the primary account name back to it's original (or any other name), select change the names to suit. Then under Account and Calendar Titles you can change the primary account name. 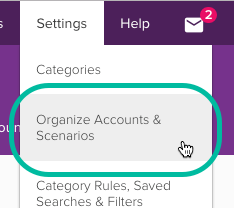 Your new grouped account will appear together on the Organise accounts & scenarios page. You can also group accounts together from the Account Summary page. However, if you want to ungroup them, you will need to do this from the Settings menu. PocketSmith will ask you which account you would like to group the account with - select another account from the drop-down menu and click Group account.